11.22mm x 12.02mm / 0.442in. x 0.473in. Small Praying Hands Charm by Rembrandt Charms. The length is 1/2 of an inch. Express your faith with the Small Praying Hands Charm. 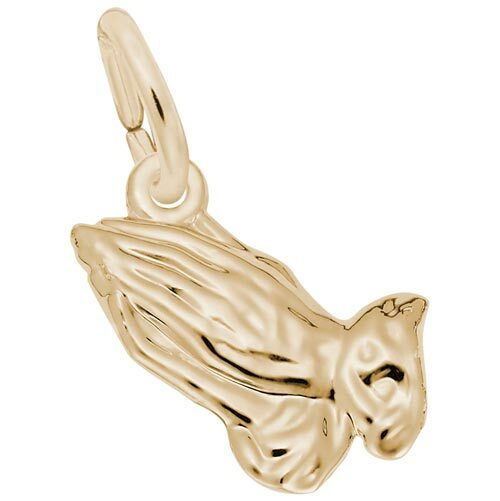 This charm is perfect for anyone with spiritual or religious beliefs and can be engraved. This small praying hands charm can be placed on a necklace or will be a wonderful addition to a Charm Bracelet. All Rembrandt Charms are available in either silver or gold.